The Concept Shed is the outbuilding to the Solterre Concept House and provides unheated storage, workshop and a bunkhouse loft for the kids. The shed is part of a retaining wall with a clever exterior access storage area facing the main house that tucks under an interior work bench. 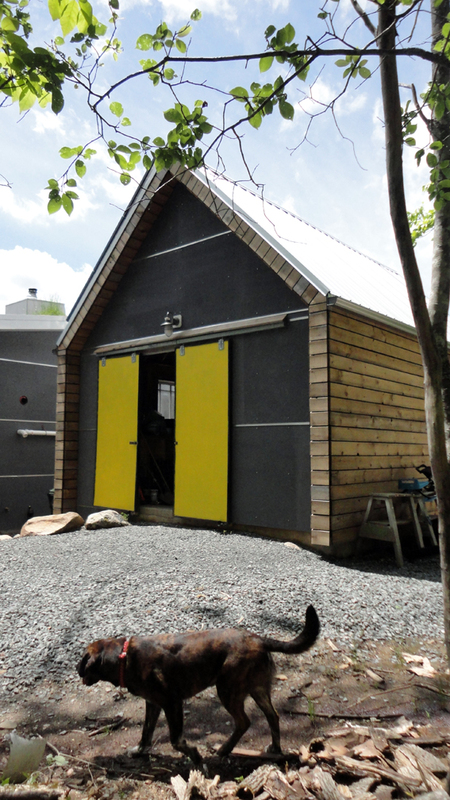 The main body of the shed is clad in torrefied pine which is installed as an open joint rainscreen siding. The gable end walls are clad in a cement panel which is finned with an environmentally friendly silicate paint. The shed was built before the house so that it could act as a workshop and staging area for the main house construction. 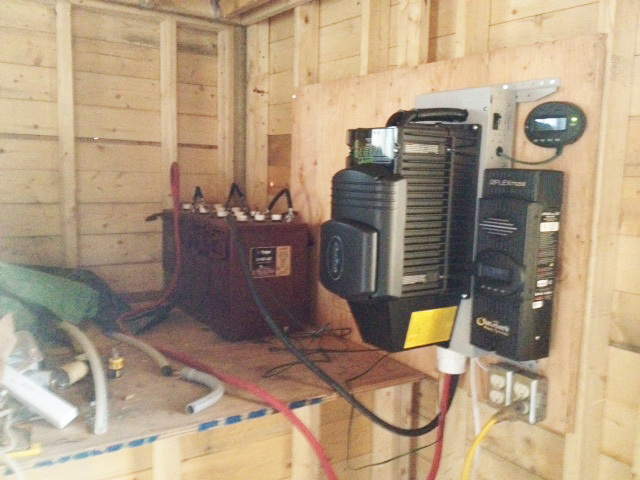 The photovoltaic array, which powers the off grid house, was installed early on and a temporary battery/inverter location in the shed meant that most of the main house construction was powered by the sun. 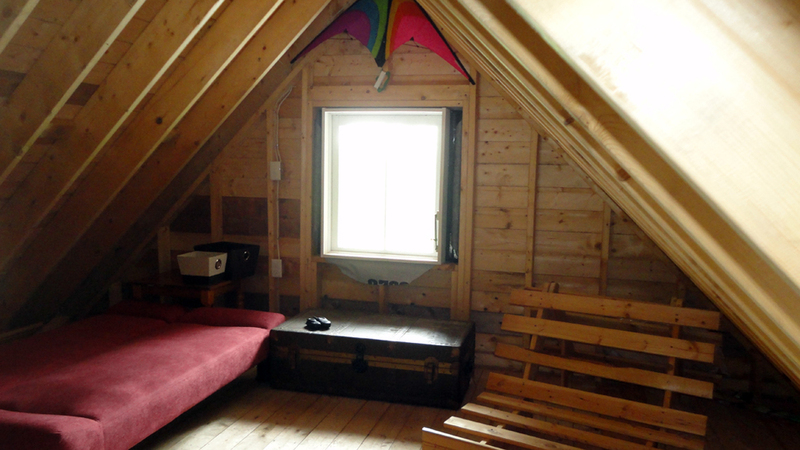 After construction was done the kids quickly took over the shed loft as a cool hangout and bunk house.